This page will be updated frequently with some pictures and a little snippet of each project. There are many different ways to utilize Landscape Boulders in your next landscape project! 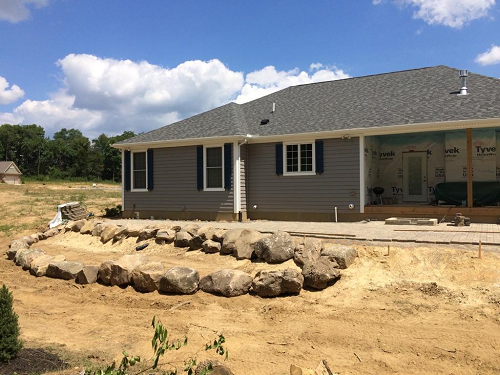 Here's a new home build and we're helping beautify the landscape with quite a few of our Ohio Granite boulders. 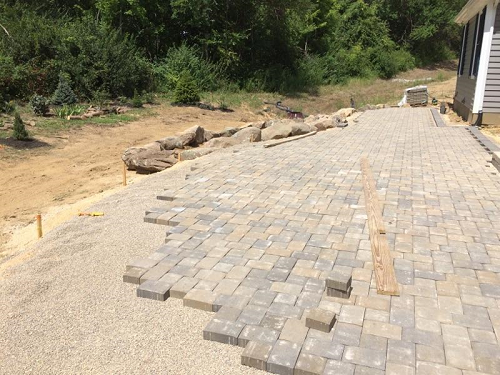 We're also in the process of installing the brick paver patio as well! Will update more when the job is complete. 3855 South Dayton Brandt Rd.